Home › FAQ › When Should You Take the MCAT? Anyone thinking about going to medical school must take the MCAT, but you may wonder when to take the MCAT. Also known as the Medical College Admission Test, this is a detailed examination that medical schools across North American use as a factor when choosing students for their next year. Knowing the format of the test, the score you can receive, when to take it and how to report your score can get you ready for the exam. What is the MCAT Format? The MCAT consists of several separate sections. Each section features a number of multiple choice questions. You will receive a question with four possible answers and must select the right answer from those given. The primary questions on the test relate to science subjects, including physics, organic chemistry and biology. Other questions test your research knowledge and your knowledge of social science. 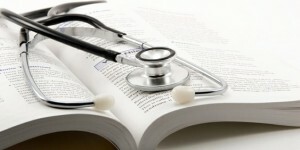 The MCAT also includes questions designed to test your critical reading and reasoning skills. Medical school admissions boards want to know that you have strong skills and a solid background in science. Even if you want to know when to take the MCAT, you probably want to know how high you can score as well. You receive a score based on how well you did in each of the four sections of the test, and those scores can range from between 118 and 132. You will then get a score based on your total answers, which can reach as high as 532. When you receive your results, you can view your score and where it fell on the curve, which shows you how well you did in comparison to other test takers across the country. The Association of American Medical Colleges (AAMC) recommends that you take the MCAT the year before you want to start medical school. Those applying in 2018, for example, will want to take the test in 2017. If you think that you may want to take the test a second time, you will want to schedule your first attempt a few months prior. You have the chance to take the MCAT up to three times a year, but you need to keep in mind that the testing board will only let you take the exam a total of seven times. Once you take the exam the seventh time, the board will ban you from taking it again. Once you know when to take the MCAT, you need to know when and how to report your score. As you need to send your score to every medical school you apply to, it’s important that you check for the code associated with each school. The testing board lets you search for and enter those codes when you take the test. Many test takers find it helpful to request that the board send them their scores first. They can review their scores before deciding whether to report those scores to the medical schools. Taking the MCAT lets you show your skills and your scientific knowledge, and medical schools use your scores as a factor when choosing among applicants. If you want to know when to take the MCAT, keep in mind that you usually want to take the exam the year before you hope to start medical school.